"November alpha one sierra sierra, this is kilo two bravo sierra alpha, from the Summit Bechtel Scout Reserve in West Virginia, over over." 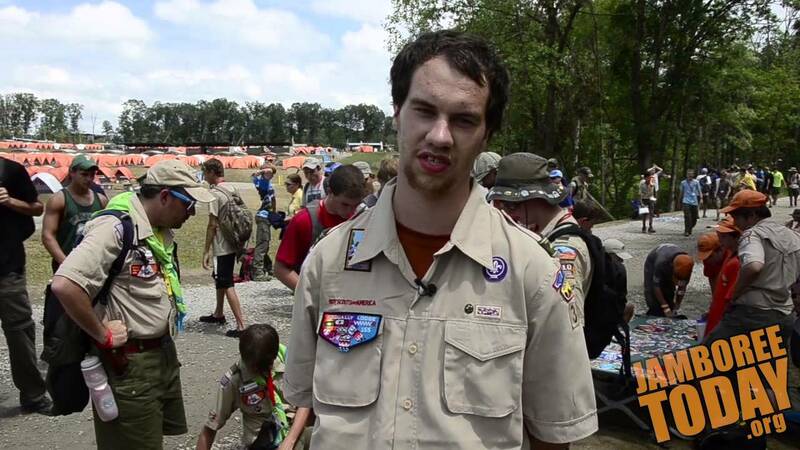 said satellite radio operator Mike Sprenger (W4UOO) at the K2BSA station set up at the 2013 National Scout Jamboree. Sprenger was transmitting beyond the Summit, beyond West Virginia, even beyond Earth itself. 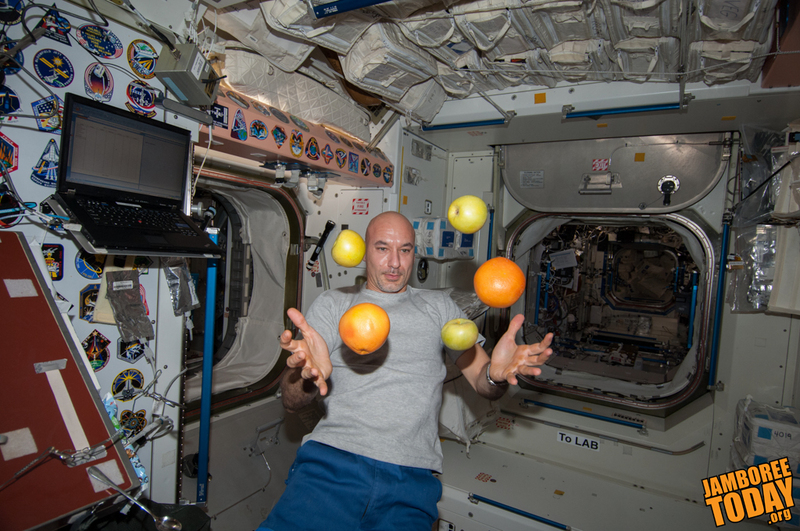 For the first time, on July 20, amateur radio contact was being attempted between the Summit and the International Space Station. "When I came to the jamboree, I never thought that I would be able to talk to somebody in space," said Gavin Coyle of Nampa, Idaho. Check out JamboWatch every day for special tips as well as information about the day's flag ceremony and menus. Here's the JamboWatch for July 22, 2013. The drummer sets cadence for the power team in Dragon boat racing, which is rooted in 2000 years of Chinese history. 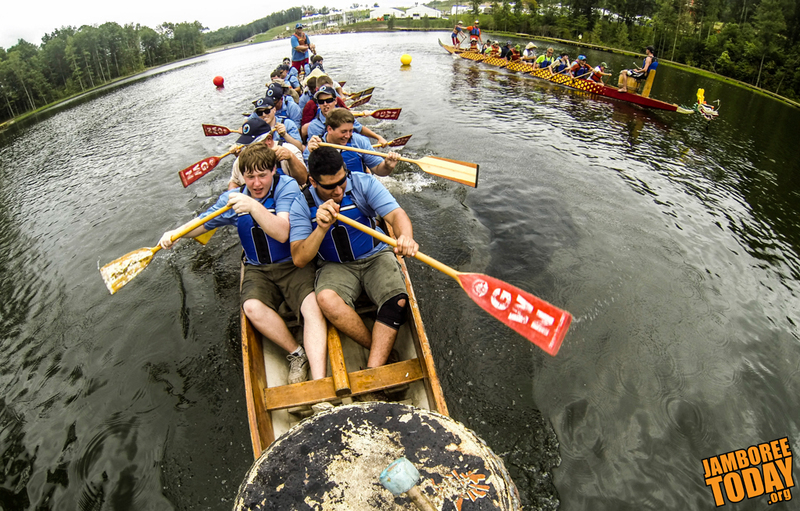 Dragon boat racing is open to all Scouts and Venturers at Goodrich Lake. Photo by Eric Vickery.